Monkey bars and a built-in picnic table set this swing set apart from our other Dreamscapes! 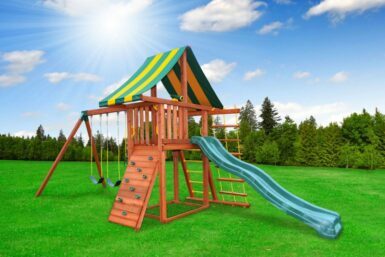 This playset is part of the Straight-Base Series, so it can be installed almost anywhere–level or unlevel ground. Product comes complete as pictured.